A new, upbeat, book from Michael Farr – one of CNBC’s most popular financial commentators and experienced investor – brings to the forefront solutions to America’s struggle to regain the respect and values on which our country was founded. Trust has eroded from Government, Banks, Wall Street, and big business-Restoring Our American Dream provides a blueprint for a future that reasserts America’s leadership position in the increasingly complex world of intertwined global economies. 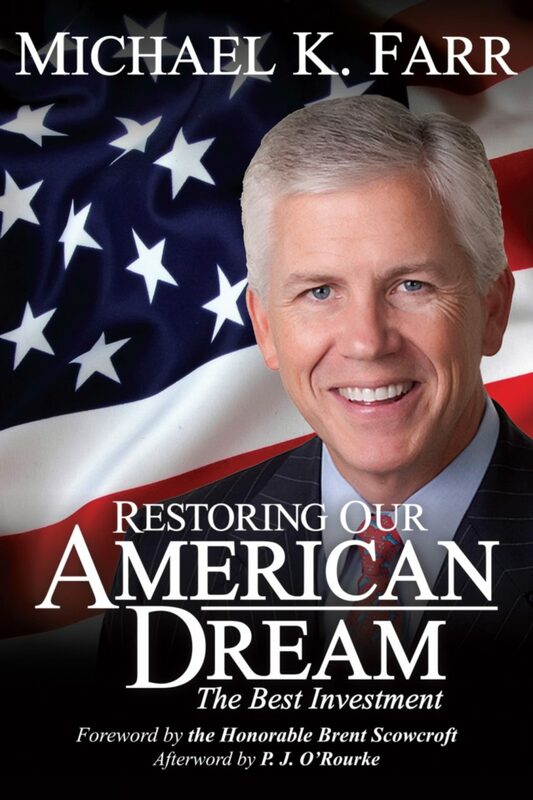 “Restoring Our American Dream is a new book by Michael Farr about hope and the possibilities of a richer life for those who follow their own road to the American Dream. Michael’s searching for a smoother path toward a better America has some fine ideas which should help all of us.”-Former Internal Revenue Service Commissioner and former Democratic National Committee General Counsel, Sheldon Cohen, Esq.